Most entrepreneurs tell you to be hyper-, laser-focused on solutions. But for Danae Ringelmann, the co-founder of the global crowdfunding platform Indiegogo, it is her obsession with the problem that keeps her going. When she was in her early 20s and working in finance in New York City, Ringelmann went to a meeting of filmmakers and angel investors, largely, she thought, to watch the goings on, and, she admits, to get out of the office. What she experienced was a shock. Ringelmann was one of a small handful of attendees from the finance world being eagerly sought after by veteran filmmakers who were desperately seeking funding. Ringelmann was one of the most popular girls at the party because the ratio of artists to funders left her in the significant minority. A few days after the event, she received a FedEx mailer with the copy of a screenplay from an elderly filmmaker, and a painstaking letter eagerly hoping that Ringelmann would fund his work. Ringelmann’s heart sank to learn that she -- a young, inexperienced finance employee -- would be the ticket to this older, experienced filmmaker’s dreams. 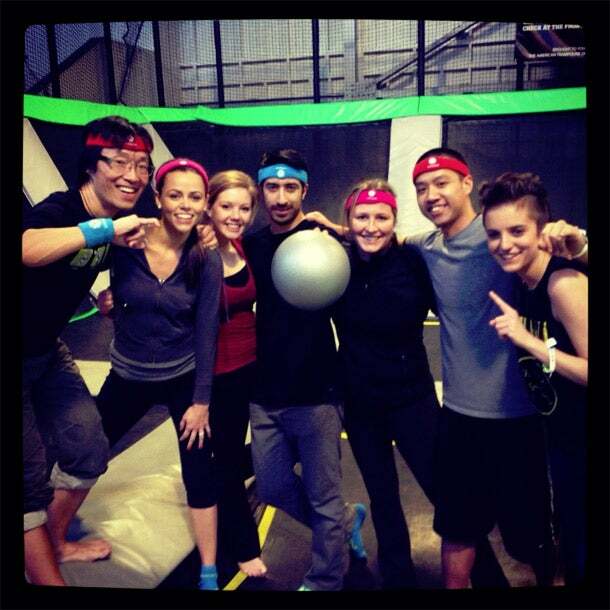 Ringelmann (third from the right) and fellow Indiegogo colleagues on a staff outing. This level of inequity, combined with Ringelmann’s childhood, when she grew up listening to her small-business-owner parents struggling to get access to capital to grow their moving business, combined to plant a seed for Ringelmann. She left her 100-hour-work-week life of finance in New York City and went to the University of California at Berkeley Haas School of Business. 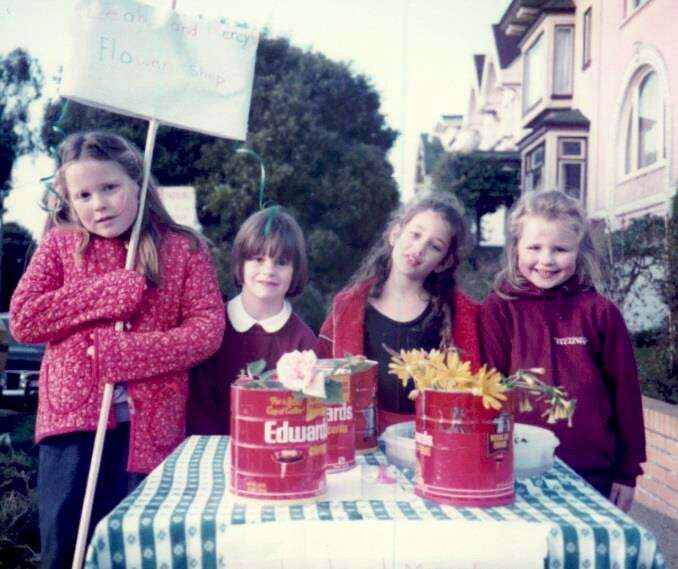 There, she and her classmates began to pick apart what she saw as a problem: democratizing finance, putting the power of raising money in the hands of the people. It was at Berkeley that Ringelmann met her two co-founders, Slava Rubin and Eric Schell, both of whom came from tech backgrounds. Ringelmann, now 35, and her teammates are well on their way. Since launching in 2008, San Francisco-based Indiegogo has hosted 150,000 campaigns for organizations, nonprofits and individuals raising money all across the world. Currently, Indiegogo is private and doesn’t disclose its financials. However, the company will say that it is distributing “millions of dollars” each week. Top campaigns have earned millions of dollars each, primarily for tech-related inventions. Last year, Indiegogo launched in French and German. It accepts the British pound, the euro and the Canadian dollar in addition to U.S. dollars. What about bitcoin? “We are looking at everything,” she says. In her journey from heartbreak to sitting at the head of one of the leading financial platforms, Ringelmann has learned a few things. Beyond the idea of putting your obsession with a problem above your obsession with any particular solution, here is Ringelmann’s best advice for entrepreneurs. A life-long entrepreneur, Ringelmann's (far right) first business was selling flowers. 2. Don’t wait for praise. Ringelmann attributes her fierce determination to her late father, who, she says, taught her to not be afraid of meeting resistance head on and to continue on your path even if you aren't met with gratitude and appreciation. “The world loves to say no, it is not its fault,” says Ringelmann of what her dad told her. “It is your job to say 'yes' and you are not going to get any pats on the back. I remember him saying that very specifically -- nobody is going to say, 'good job,' 'A for effort.' None of that. You have just got to stick to your guns. The world will say, 'thank you,' not by saying 'thank you.' They will just embrace it, and you will know you have done the world a service and that should be enough.” Ringelmann’s father died in October of 2008, but she still hears his voice in her head. 4. Take action. “Jump in,” says Ringelmann. Just start moving. You will learn from the repercussions, whether good or bad. “Have a bias towards action because in every action you take, there is an equal and opposite reaction and that opposite reaction might be a confirmation of what action you just took or it might be a denial of the action you just took.” Either way, you will start learning and eventually you will get closer to the idea you are searching for.